Nike's stated ambition of turning women's sportswear into an $11bn business by 2020 is impacting its marketing budget, with spend up 10% year on year for the third quarter to $804m. The sportswear giant attributed the increased spend to "key brand initiatives" like its ongoing ‘Better For It’ campaign, a major push to appeal to female consumers, running since April 2015. The latest iteration of ‘Better For It’ saw Nike experimenting with digital, introducing a YouTube-only series designed to appeal to millennials. 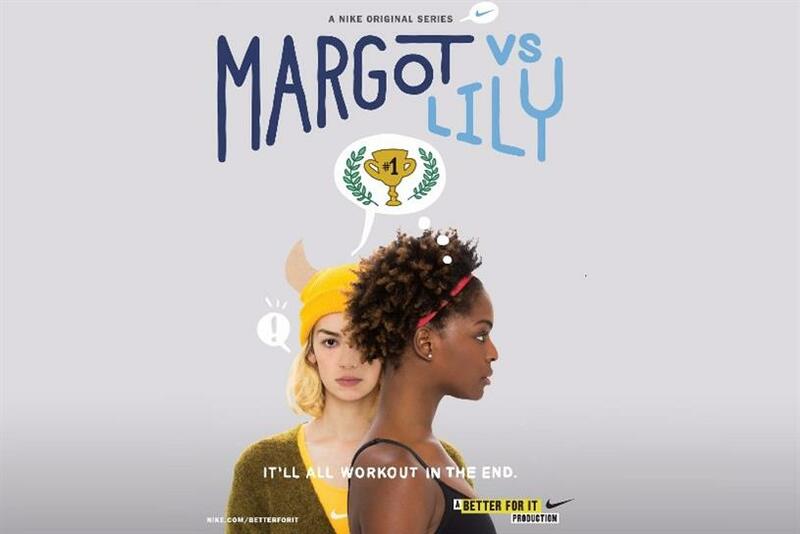 Called ‘Margot versus Lily’, the eight-episode series sees two fictional women set each other a challenge. One has to "get more than zero friends", the other has to start exercising. Nike also launched a dedicated ‘Better For It’ hub, which allows women to buy the clothes worn by the fictional Lily and Margot directly. According to Nike brand president Trevor Edwards, the YouTube series has garnered more than 80m views. The brand also spent more on its marketing activity around Super Bowl 50, when the brand used NFL stars to surprise Nike+ members in San Francisco by delivering limited-edition sneakers. The company didn’t reveal revenues for Nike Women for the quarter, but said growth had outpaced the men’s business. CEO Mark Park said Nike Women’s had seen its ninth consecutive quarter of "double-digit revenue growth". He added: "We’ve seen consistent growth in our women’s business, because we know this athlete is demanding more from brands, across products, across services, and across experiences." Nike’s shares fell as much as 7% in after-hours trading after it released a weaker-than-expected growth forecast.